Martin and Diarmuid Mulkerrins have advanced to their first doubles final together after a tight battle against Cork opponents at the weekend. The brothers progressed to the All-Ireland 4-wall doubles final after a tiebreak victory in their All-Ireland semi final against Daniel Relihan and Michael Hedigan. It means the two sides will meet again in the league semi-final on April 20 after results elsewhere left the Tir Conaill women in fourth place (on points difference), while Cork and Dublin will meet again in a replay of last year's All Ireland final. 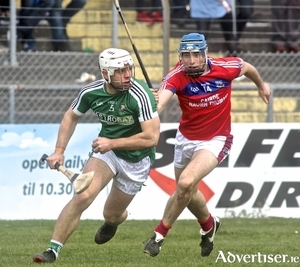 An early scoring flurry while playing against the wind laid the foundation for Liam Mellows to claim the opening day spoils by 1-17 to 0-14 against 2018 champions St Thomas in Kenny Park as the Galway Senior Hurling Championship got up and running last weekend. Medtronic were dominant throughout the hour, and were well on their way when Cathal Newell and Michael Lundy both hit the net in the opening three minutes. When Newell struck again before half-time, Medtronic led by 12 points at the interval. Galway senior camogie defied the bookies, winning a first national title since 2015 and halting Kilkenny's four-in-a-row march. Donegal travel to Corofin on Sunday afternoon for a 2pm throw-in to face Galway in the final round of league fixtures in the Lidl Ladies National Football League. 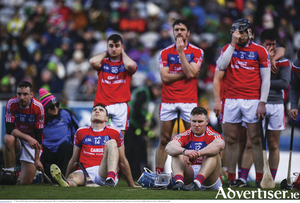 With both teams already confirmed for the semi-finals, along with All-Ireland champions Dublin and Cork, this game is effectively a dead rubber, but should decide who finishes in top spot. 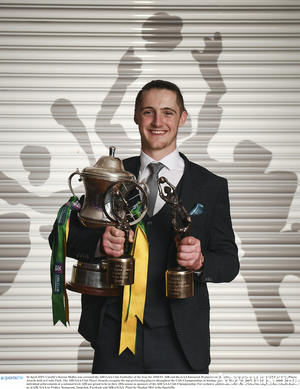 Moycullen's Diarmuid Mulkerrins won the All-Ireland U21 40x20 handball title in Kingscourt, Co Cavan, at the weekend. 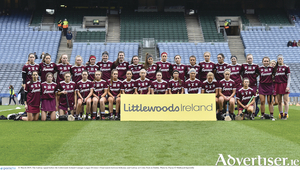 Galway will be represented in Croke Park for the league finals on Sunday with the county's senior camogie team. Galway will face Kilkenny at 12 noon in the Littlewoods Ireland Camogie Leagues division 1 decider - the first of the day's triple header at Croke Park. The hurling decider Limerick v Waterford follows at 2pm, with the football division one final between Kerry and Mayo at 4pm. Athenry Industries won their first All Ireland Interfirms title when they defeated Zimmer from Sixmilebridge, Clare, by 1-20 to 1-19 in the recent All Ireland Junior Hurling Final in Duggan Park Ballinasloe. It was a fine achievement for the Athenry men who were appearing in their first final. Gort’s Aidan Helebert, with 0-12, was scorer in chief, while Michael Mullin scored the crucial first-half goal. 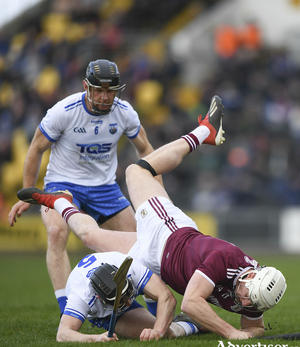 way’s disappointing defeat to Waterford last Sunday came with the news that Joe Canning’s injury is not as serious as was first feared when the Galway talisman was stretchered off in injury time in Nowlan Park. 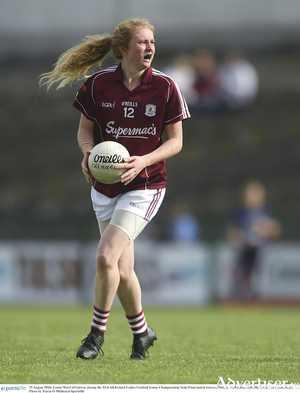 Galway senior ladies footballers take a break from national league action this weekend to prepare for their final round against Donegal on April 7. With Galway, Donegal and Dublin having all lost one fixture, the last round will determine the seedings for the semi-finals due to take place the following weekend. 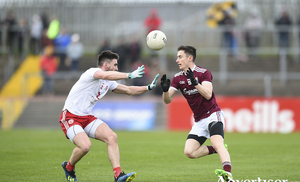 Sunday was a disappointing end to an otherwise positive league campaign for Galway, losing to Tyrone 0-13 to 2-17 at Healy Park, Omagh. 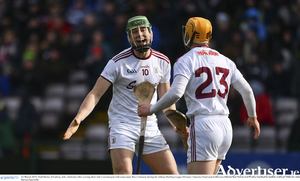 The Galway hurlers' reward for an encouraging second-half display against Wexford on Saturday is another lengthy road trip this weekend to take on Waterford in Nowlan Park on Sunday (3.30pm). 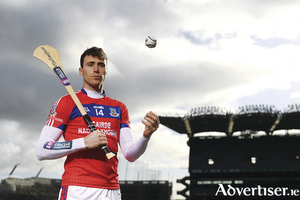 Six county titles, four Connacht titles and three All Ireland titles in the last six years. 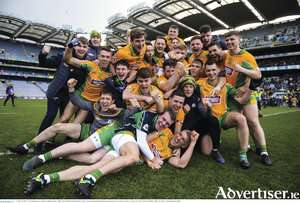 Understandable then, that on Sunday evening after they had lifted the All Ireland Senior Club Football crown for a second year in succession, media analyst Joe Brolly stated Corofin were "the perfect Gaelic football team" and "the best club team I’ve seen". 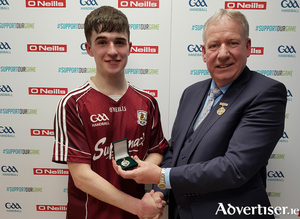 Martin Mulkerrins suffered defeat in the All-Ireland semi-final stages of the O’Neills senior singles handball championships. 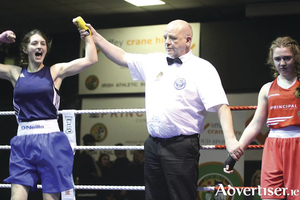 The Moycullen man won the title for the first time last year, but he was beaten by three-times champion Robbie McCarthy in a breathtaking semi-final encounter. The south east Galway villages of Kilchreest and Peterswell will be represented for the second time in Croke Park on the biggest day on the club calendar when St Thomas’ attempt to become the fourth Galway hurling club to win multiple All-Ireland senior titles on Sunday.